April 15, 2019 at 12:17 am. “We are absolutely certain we have the power to do this,” Mr. de Blasio said. But then again, so was Rockland County Executive Ed Day whose emergency declaration was overturned and ended recently by New York Supreme Judge Rolf Thorsen. 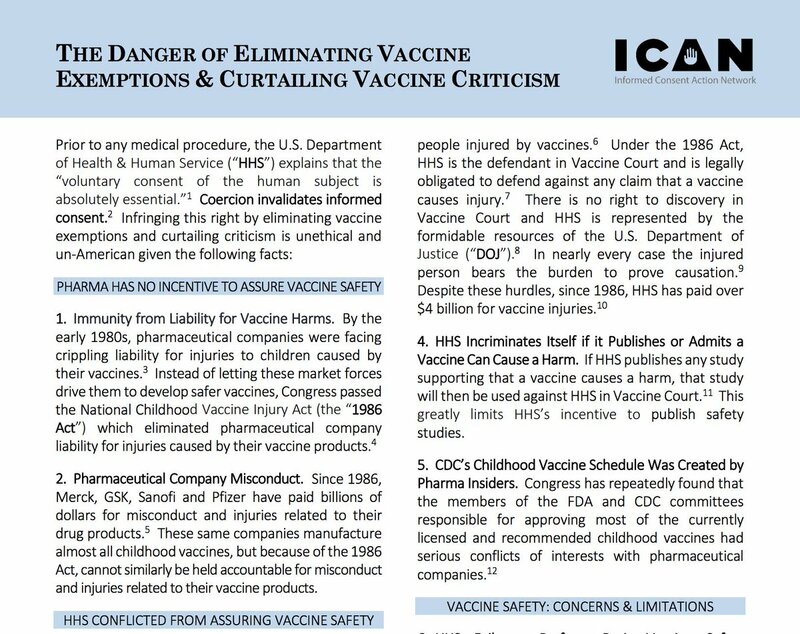 The immunocompromised population has been historically served up as a main reason all members of society must get all government recommended vaccines in perpetuity no matter what the adverse risk may be. New York’s aggressive vaccine mandate has likely created another issue. Merck’s MMR vaccine insert also talks about virus shedding from those who recently receive the shot stating, “Excretion of small amounts of the live attenuated rubella virus from the nose or throat has occurred in the majority of susceptible individuals 7 to 28 days after vaccination.” Has New York City just traded a measles problem for a rubella problem? From the standpoint of the immunocompromised individual in New York, are they better off having a low number of active measles cases who were most likely staying home or out of public places given the severity and fines faced? Or is that immunocompromised individual now at a greater relative risk given the massive influx of active live virus shedders, unconscious of their condition and not self-quarantining, due to the aggressive vaccine campaign happening in such a condensed area? liberty aggregator February 25, 2019 at 5:29 pm.